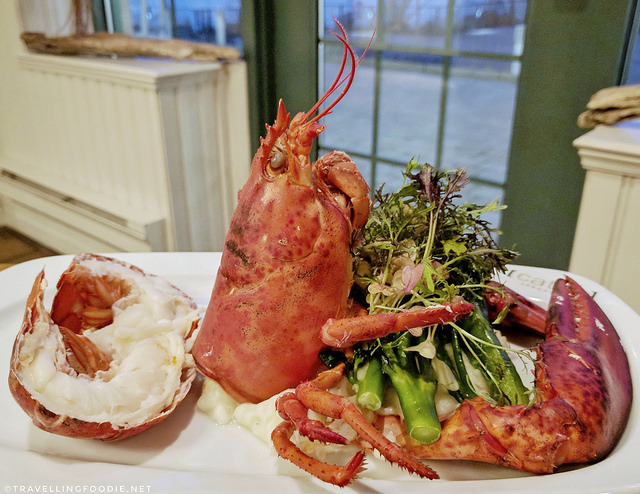 Last year in October, I had the opportunity to do a Travelling Foodie trip to New Brunswick, where I visited both Saint John and Fredericton within 4 days to check out 10 different culinary stops. It’s always fun to do food trips because you get to try different places and flavours at a short span of time. I was in Fredericton for a day and a half, and checked out 5 different places. If you’re a foodie like me, you can actually do all the places I visited in a day. The best day in this case would be Saturday. How do you eat that much in a day? The trick is to walk to all these places! The city is so walkable. This helps you digest and get some exercise between meals while enjoying the city. Start your day at the Fredericton Boyce Farmers Market which is open only on Saturdays. With over 200 hundred vendors, you’ll definitely be able to find something you want for breakfastfrom fresh bagels from Chuck’s Bagel Bin and coffee from The Whitney Coffee, to delicious samosas from Yummy Samosas and sausages and burgers from Elke’s BBQ. Head over to [catch] URBAN GRILL for lunch, but skip the lunch buffet since you’ll be eating all day! The lobster was divine when I went for dinner, so I would recommend the Lobster Roll with Atlantic lobster, lemon dill, mayonnaise and lettuce on a toasted bun, and comes with fries. Follow-up your lunch with some coffee and desserts at Chess Piece Pâtisserie, Fredericton’s only true Parisian style café. You’ll want to try their coffee since they are specially roasted for them by an independent Indian coffee grower. Pair your coffee with their hand-made desserts ranging from New Brunswick blueberry cake, lemon tart to Parisian macarons. End your night at the new restaurant, 11th Mile, run by husband-and-wife team Chef Peter Tompkins and Jeannie Wilson. This is where your true foodie will come out as you’ll want to try all the items on the menu. Don’t worry - they are tapas size and are very good for sharing. Sharing is caring, right? Raymond Cua is a travelling foodie, always thinking of his next destination or meal. He’s a food and travel blogger, content creator, and founder of Travelling Foodie. His blog and works have been featured in top media outlets including Travel + Leisure, BBC Travel, and Huffington Post. Follow his foodie adventures on Instagram, YouTube, Facebook and Twitter.